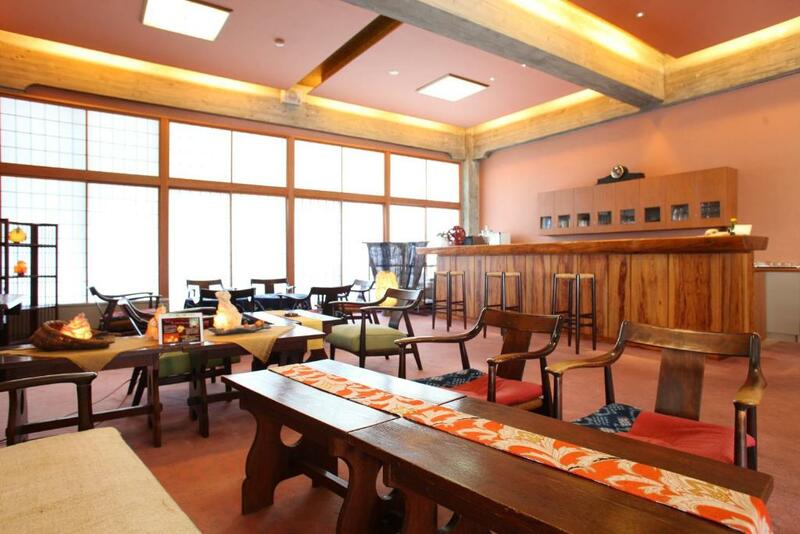 Ideally located in the prime touristic area of Shiga-kogen / Yudanaka Yorozuya Ryokan promises a relaxing and wonderful visit. The hotel has everything you need for a comfortable stay. Luggage storage Wi-Fi in public areas car park coffee shop elevator are there for guest's enjoyment. Comfortable guestrooms ensure a good night's sleep with some rooms featuring facilities such as television LCD/plasma screen air conditioning heating desk balcony/terrace. To enhance guests' stay the hotel offers recreational facilities such as sauna hot spring bath spa massage table tennis. Convenience and comfort makes Yorozuya Ryokan the perfect choice for your stay in Nagano.